Ever wanted to know the inside scoop of what it’s like to work in a big 4? 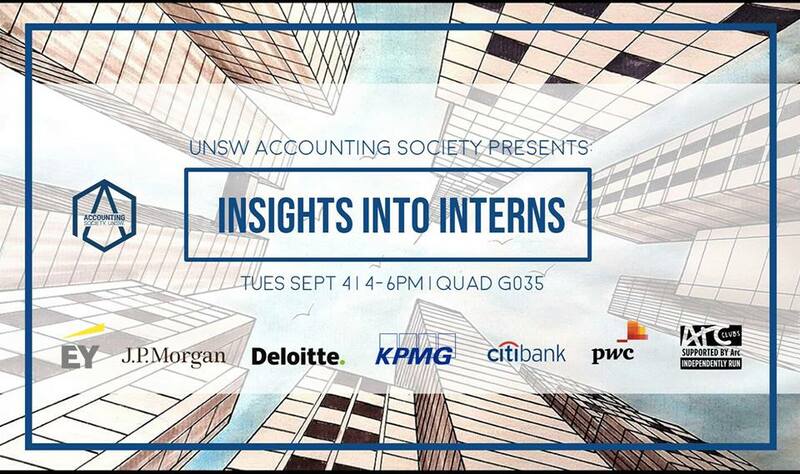 Or just wanted to know where the best place is to intern but not sure where to ask? AccSoc is holding our first ever Interns Q&A Panel where we will be having interns from a wide variety of companies who will be able to answer all the burning questions you have. Asking questions not only answer your queries but also help you clarify your own thoughts, enhance your understanding and allow you to work on your communication skills at the same time. It will be a valuable experience whether you are a clueless first year student who wants to know what the fuss is about or a final year student who wants to know the tips and tricks on how to secure a grad job. You will be able to ask anything and everything so come prepared with questions!